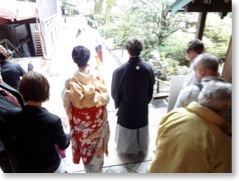 - Traditional ceremony performed by Shinto priest at Okazaki Shrine in eastern Kyoto. 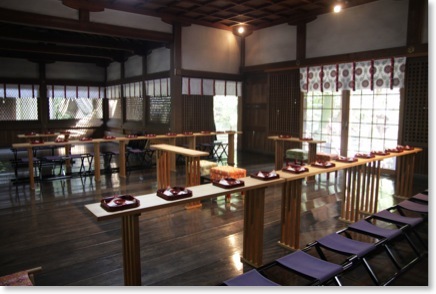 For more information on the wedding ceremony, please see our Shinto Wedding Ceremony Guide . 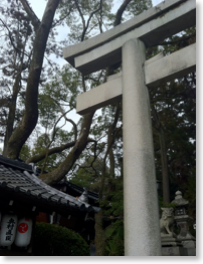 Okazaki Shrine is one of the four shrines for the purpose of protecting Heiankyo (ancient capital of Japan). The shrine was built when the capital was transferred from Nara to Kyoto in 794 AD. The main building of OKazaki Shrine was rebuilt in 869 after damage from a fire. 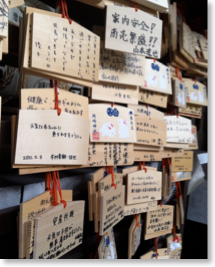 On that occasion, new gods were brought from Himeji city in Hyogo prefecture and enshrined at the shrine. 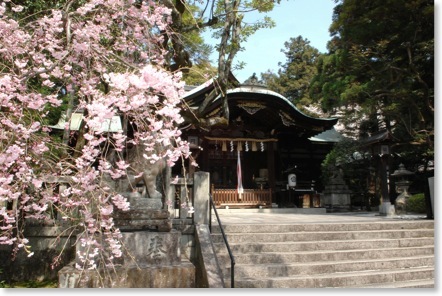 According to the Japanese classic, the Heian Monogatari, Okazaki Shrine was one of the 41 government shrines. Okazaki Shrine has served as a shrine for safe birth since 1178, and the Ujiko-sai festival is held every October in celebration. 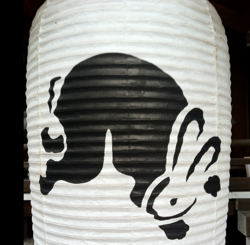 The rabbit is considered a helper spirit of Okazaki Shrine. This is because many rabbits lived in the mountain behind the shrine. 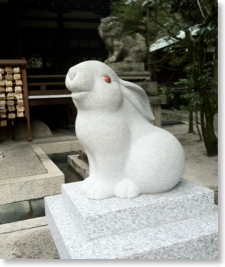 There are many sculptures of rabbits on the precincts (they are seen on pedestals of guardian dogs, in dedicatory lanterns, and above doorways). Notably, there is a black granite statue of a rabbit in the washbasin. This rabbit statue is for the believer who wishes to have a baby. 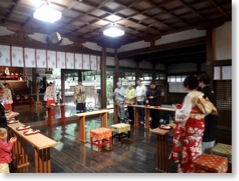 Okazaki Shrine is also a shrine for marriage. This is because the famous heroic god Susano Ono Mikoto, who is enshrined at the shrine, slayed a demon to marry the goddess Kushi Inada Hime. 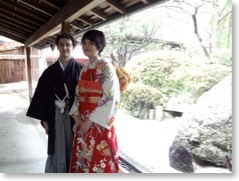 For these reasons, many couples hold their wedding at Okazaki shrine.